Driven by vision to achieve significant growth in the industry, we are engaged in manufacturing a wide range of Woven Labels. - Used on cloths containing company name and logo. 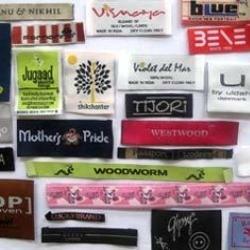 We are a remarkable entity, engaged in manufacturing a qualitative array of Custom Woven Labels. 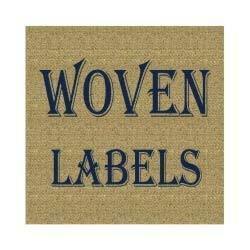 Satin Woven Labels are polyester based lustrous thread, which is soft and smooth. These can be cut with an ultrasonic cutter for smooth edges if the product has contact with skin. At one time we can have a 8 color satin label. Woven labels are high-profile brand carriers, and must closely reflect changing fashion trends in order to be an integral part of your branding. Nilorn Calmon has always given high priority to innovation in design and weaving, resulting in an impressive range of label qualities which go far beyond the traditional. Adi Hi-Tech Textiles Pvt. Ltd.